Rubber Waterstops - MUHU (China) Co., Ltd.
Rubber Waterstops had not only common features of rubber products, also meet-water automatic expanding . 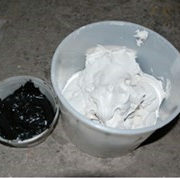 According to shape it can be divided into rubber product type and rubber putty type (vulcanization and unvalcaization). We can select according to different demand of water-proof construction. This kind of product has the stop-water usage of flexibility joint stop-water material. When the concretes at the two-side joint transform because of the constringency or other reason etc. It brings on that the distance of the seam increase beyond demobilization rate of flexibility material. 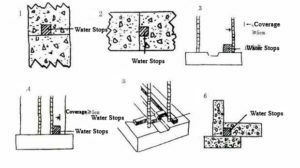 Due to this material has the feature of meet-water expanding .In the expanding scope, it can be used to stop-water and can be used again and again. This kind of product has the tremendous plasticity and certain flexibility. After meet-expanding the plasticity further increase so that stop up the concrete hole seam and the crack to attain stop-water effect. Used to component joint water-proof, building distortion seam, construction seam and metal, concrete etc seam water-proof, For example, tunnel, substructure etc underground seam water-proof construction. Used to concrete seam and arbitrarily shape seam in component. In the condition of the expanding being favorable limited, attain satisfied stop-water effect and manage the concrete interstitial leaking . At the same time, it can be also used to shipping and engine etc industrial equipment.